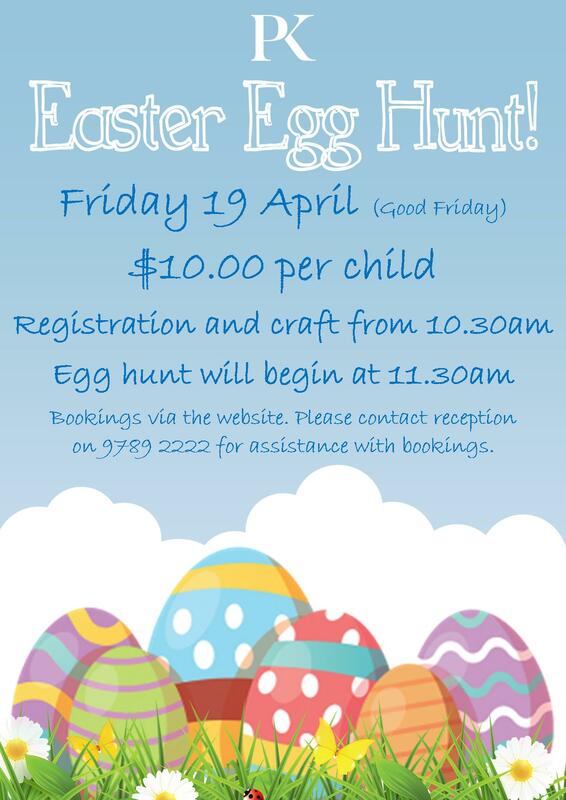 The Easter Bunny will be hopping by the Club on Friday 19 April (Good Friday). He will be hiding plenty of chocolate eggs on course for the children to find. $10 per child (ages 2+, children under 2 free). Guests welcome. For assistance with bookings please contact reception on 9789 2222.